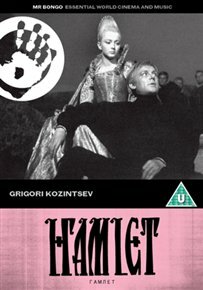 1960s Russian adaptation of William Shakespeare's most-celebrated play. 1960s Russian adaptation of William Shakespeare's most-celebrated play. Innokenti Smoktunovsky plays Hamlet, the Danish prince who seeks revenge on his uncle, Claudius (Mikhail Nazvanov), for killing his father, marrying his widowed mother, and taking the throne. When his father's ghost appears asking him to avenge his death, Hamlet vows to obey but his plot to kill his uncle leads to further tragedy. Innokenti Smoktunovsky plays Hamlet, the Danish prince who seeks revenge on his uncle, Claudius (Mikhail Nazvanov), for killing his father, marrying his widowed mother, and taking the throne. When his father's ghost appears asking him to avenge his death, Hamlet vows to obey but his plot to kill his uncle leads to further tragedy.